Condenser (capacitor) microphones differ from dynamic and ribbon microphones because they are not self-generating. That is, they cannot generate electricity in response to an impinging sound wave. A condenser microphone modifies an external source of electricity to reflect the effects of a sound wave striking its diaphragm. Dynamic and ribbon microphones use magnetism to generate electricity in response to a sound wave: they are self-generating. Furthermore, both of these types of microphones are inherently low impedance devices. It is possible to connect a dynamic microphone element directly to a balanced, low-impedance mixer input. Many commercially made dynamic microphones do just that. The obvious external power source for any modern microphone is a battery. About the only electronic advantage that a battery has is that its output is pure DC. The only other advantage (to the battery company) is that you have to keep on buying them. Tube microphones require several different voltages for operation. This invariably means a multi-conductor cable and non-standard (not XLR) connectors. A tube microphone will almost always have an associated external power supply. So, where is the Phantom of Phantom Powering? Because (like the Phantom in the old comic strip) it’s there when you need it, and invisible when you don’t. This technology is not new, it actually predates rocket science. Like so many other things in audio, it was brought to you by the telephone company, who used it to get an extra circuit from a pair of wires (phantom circuit). In effect, so does your phantom powered microphone. What is important is: phantom powering is a compatible system. Your dynamic/ribbon microphones as well as your condenser microphones work side-by-side, from the same microphone inputs, without further thought on your part. Technically speaking, phantom powering refers to a system where the audio signal is applied to the balanced line in differential-mode < ACROSS pins 2 and 3>, and the DC power is applied common-mode <From pin 2 AND pin 3 to pin 1>. The audio travels via pins 2 and 3 differentially (across the pins), and the power travels across pins 2 and 3 simultaneously and pin 1. Microphones that do not require power simply ignore the DC present between pin 2, pin 3, and pin 1. If you measure with a voltmeter between pin 2 and pin 3, you will read 0 Volts DC. This is what your dynamic microphone sees. Measuring between pin 2 and pin 1, or between pin 3 and pin 1, you will read the phantom power voltage, usually 48V, without a microphone connected. The dynamic microphone, as well as your balanced mixer input, ignores this voltage. Lately, the term phantom power has been perverted to refer to any remote powering system. In any sense of the DIN standard, this is not true. Furthermore, microphones or transducers that claim to use this system are not compatible with the DIN standard and will almost certainly be damanged if connected into such a system. Fortunately, these systems nearly always use tip-ring-sleeve phone plugs or miniature XLR connectors and they are usually associated with instrument pickup applications or microphones for camcorders. Some of the terms used to describe these "foreign" powering systems are: PIP, Electret Bias, Inline power, and (grrrr)Phantom Power. This is not only misleading, it's just plain wrong. Regardless of what any marketing propaganda says, these units are NOT phantom powered and NOT compatible with the system defined in the DIN standard. Applying phantom power will damage these units. Phantom powering is defined in DIN standard 45 596 or IEC standard 268-15A. To be compatible in a phantom powered system, a device (microphone, preamp with a microphone-style output, or direct box) must have a balanced and floating, low-impedance output. This includes all microphones commonly used for sound reinforcement and recording such as the Shure SM-57, SM58, Electro-Voice RE-15, RE-16, RE-20, ND series, Beyer M88, M160, M500, AKG D224, D12, D112, Sennheiser 421, 441, and MANY, MANY others. Older condenser microphones (Sony C22, C55, EV 1777, PL76, etc.) that were either made before the adoption of phantom power, had the phantom power feature omitted as a cost savings measure, or omitted it for product differentiation reasons (stupid, really stupid). These microphones will operate, but they will always require their own batteries. Consider them a battery-powered dynamic microphone. The older EV microphones (EV 1777, PL76) can be converted to phantom powering. It's a simple conversion, but it does require some electronic work (you need to know how to build things with parts). Click Here for the conversion instructions. Microphones with grounded center-tapped outputs. Many old ribbon microphones were supplied connected this way. Have a technician lift the ground from the center tap. The microphone is now phantom-power compatible. Connecting a microphone with a grounded center-tap, when phantom power is present, could damage the microphone. Connecting the microphone first, and applying phantom power second is permissible and will not harm the microphone. We recommend the latter (connect first, then apply power) as a safety measure if you don’t know for sure that the microphone has a grounded center-tap. Microphones that exhibit leakage between either pin 2 or pin 3 and pin 1. These microphones will sputter and crackle when phantom power is applied and will work fine when you turn off the phantom power. Get the microphone repaired or insert a 1:1 isolation transformer (like the Jensen JT-MB-C ) between it and the input. This is a viable workaround for vintage microphones that can't be repaired. Musical Instrument Stuff with Direct Outputs. Sometimes they work, sometimes they don't. It's a crapshoot at best. Many pieces of electronic equipment aimed at the musician marketplace have direct outputs intended to make connection into a professional sound system easier. In theory at least, you eliminate needing a direct box. The problem is that many of these manufacturers apparently haven’t heard of phantom power. The problem is that their balanced output is transformerless, and (worse) can’t tolerate the 48V power present. Usually, the output coupling capacitors are 25V parts, and most often connected so that their + terminal goes to the opamp that drives the output connector. When connected into a phantom powered system, the 48V reverse biases the capacitor and causes trouble. This trouble can be temporary and sometimes it can be permanent. If you’re a musician and this scares you, it should. What can you do? Call the manufacturer and ask. Have a service tech who understands the problem check the schematic. 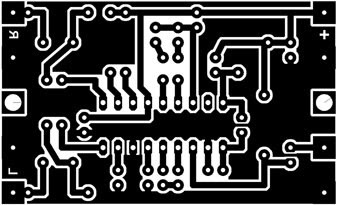 A really bright service tech can study the circuitry without a schematic by looking at the unit and figuring out what the manufacturer did circuit-wise. If you're not sure, use a direct box. I have seen at least one brand of amplifier (G-K) with outputs that are supposedly phantom power proof that aren’t (meaning that the presence of phantom power didn't harm the amplifier, but it did cause noise that was intolerable). In this case, I spoke to their chief engineer, and we both agreed that what he was doing should work, but in practice it doesn’t. If you are connecting to a G-K/Gallien-Kruger amplifier, you should use a direct box. Electronic keyboards are also suspect. I’ve had other musicians tell horror stories of blown instruments caused by assuming that the balanced outputs on the instrument were phantom power proof. When in doubt (and that’s my usual state), use a direct box. This modification makes a balanced transformerless output phantom power proof. I came up with this idea when I worked at Mackie Designs. It works. It has been incorporated into all of their mixers that have XLR connectors for their outputs. I’ll describe the mod in words. This should be crystal clear to a competent service tech. I’m assuming that the circuitry of the balanced output is driven by a pair of opamps, with their outputs arranged to be out-of-phase with each other. It doesn’t matter if the output is cross-coupled or not. Find the output coupling capacitors. They need to be at least 25V units, polarized so that the plus side connects to the XLR connector. Reverse the connections to the capacitors if necessary. If you have to desolder them, I'd replace them with 63V parts, correctly polarized, of course. There should be a resistor on the XLR side of the coupling capacitor going to ground. There should be one for pin 2 and one for pin 3. If not, add them. The value needs to be 10k or lower (equal value). The resistors put enough of a load on the phantom power coming from the mic preamp to reduce the phantom voltage to something that the capacitor can withstand. T-powering is another remote powering system. It is sometimes known as A-B powering or as "Modulation Lead Powering." It uses pins 2 and 3 to carry both power and audio. It is NOT compatible with dynamic, ribbon, or phantom powered microphones. For further information, please refer to my article about T-powering and to Richard Hess' excellent page. If you are plugging in a condenser microphone, do verify that your microphone can be phantom powered. Don't worry about your other microphones as long as their outputs are balanced and floating. Do ensure that the microphone’s output is low impedance, balanced and floating. This is especially important for vintage ribbon microphones like the RCA 44BX and 77DX. Don't connect microphones or devices that do not conform to the DIN 45 596 standard. Do mute the sound system when turning the phantom power on or off, or when connecting or disconnecting microphones. Lest you forget, the resulting loud, nasty POP may be your last. Don’t connect A-B or T-system microphones (another remote powering system) without suitable adaptors. Likewise, don't try to use t-powered microphones with phantom power. Do turn the phantom power off when ribbon microphones (cheap insurance). It's OK to turn it back on after making the connection. Be sure that there is some way to bleed the charge off of the power supply if you chose to do this. See the discussion on patch bays, below. Don't worry about your tube condenser microphones. They’re compatible; they just can’t be phantom powered (except for the new Audio Technica and Microtech phantom powered tube microphone). Do read the discussion about phantom powering causing magnetized transformer cores. Don't put your microphone lines thru a TT or TRS patch bay. See further discussion, elsewhere on this site. Whether you want to create your own radio station, transmit the music around the house, or simply create a wireless link between your iPod and a receiver in your car, this transmitter will let you do these things easily. With BA1404 HI-FI Stereo transmitter you will be able to transmit MP3 music from your iPod, computer, discman, walkman, TV / SAT receiver, and many other audio sources. The above FM transmitter design is a result of many hours of testing and tweaking. 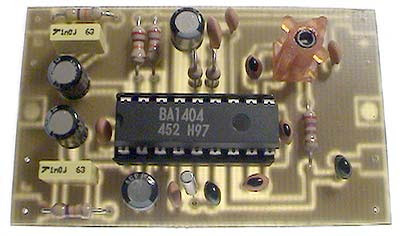 The goal was simple; to test many existing BA1404 transmitter designs, compare their performance, identify weaknesses and come up with a new BA1404 transmitter design that improves sound quality, has very good frequency stability, maximizes transmitter's range, and is fairly simple for everyone to build. We are happy to announce that this goal and expectations have been met and even exceeded. The transmitter can work from a single 1.5V cell battery and provide excellent crystal clear stereo sound. It can also be supplied from two 1.5V battery cells to provide the maximum range. One of the qualities of BA1404 FM transmitter is excellent frequency stability. This is mainly due to a use of high quality 3.5 turn variable coil. Tunable RF coils are ideal for precise frequency tuning because their magnet wire is halfway embedded within the plastic, which minimizes frequency drifts. Regular air coils are not preferred for professional broadcasting because the coil expands and contracts with temperature changes. That's the very reason why variable coil was chosen as a substitution for an air coil and a variable capacitor. Another quality of the presented BA1404 transmitter is a crystal clear stereo sound and improved sound separation. There are several factors that account for improved sound quality and a separation. First reason is the use of 38 KHz crystal which provides rock solid frequency for stereo encoder. Another reason is the use of two 1nF decoupling capacitors one for BA1404 chip and another for 3.5 variable coil. These capacitors have to be as close as possible to a BA1404 chip and a variable coil because this will GREATLY improve the sound quality, sound separation and even frequency stability as well. What they do is filter out the noise in the incoming DC voltage. If the noise enters BA1404 chip stereo generator will include it in a transmitted sound affecting both the sound and multiplex signal that is responsible for generation of the clear stereo signal. If that noise enters it will also be included in a generation of subcarrier frequency affecting the frequency stability. Most people are not aware of how important this is and might place them in a wrong location, away from the target components which provides no use, or worse decide not to use these capacitors at all. Another factor that is extremely important and which improves overall quality of the whole BA1404 transmitter including frequency stability, sound quality and sound separation is the use of the ground plane on the transmitter’s PCB. It is recommended that ground plane should always be used in circuits that deal with higher frequencies. This FM Transmitter uses integrated circuit (IC) BA1404 for generating frequency and audio signal. With BA1404 HI-FI Stereo transmitter you will be able to transmit MP3 music from your iPod, computer, discman, walkman, TV / SAT receiver, and many other audio sources. Here is a simple PSU to power a microphone pre amp. It will supply +15v, -15v & 48v. If a 7818/7918 pair of regulators is used, then the PSU will supply (surprise) +18v, -18v & 48v. The un-marked diode near C14 is a 1N4003 or better.